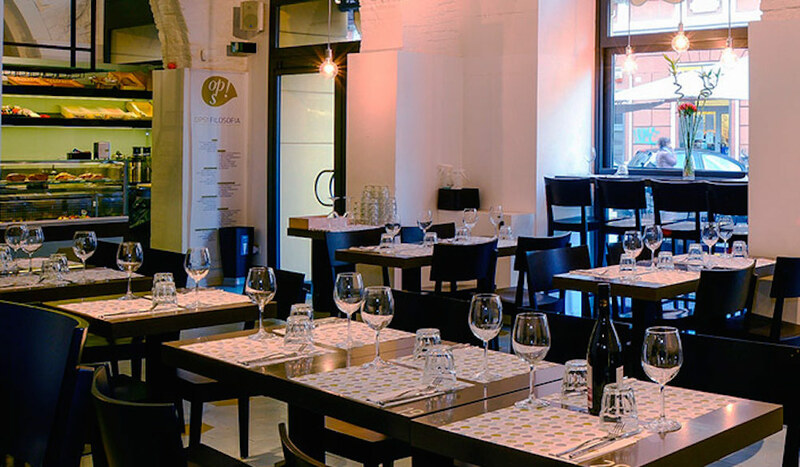 Ops is the Restaurant realized by one of the most famous Italian Vegan Chef: Simone Salvini. It’s a Self- Service, which is a formula I do not like normally, but it is an hassle I can deal with to rise and pick my food when it is so delicious. Mostly Vegan and Organic (at least Vegetarian) with a wide selection of all courses: from Starters to Desserts. I loved the Seitan at the Ops’s way, the marinated Tempeh, the Vegan mayonnaise in three ways and the Tiramisù. Not far from Villa Borghese, on lunch hours, it is crowded with stylish business people craving for healthy and together yummy food. Ops … I almost forgot to thank the amazing patron for his artistry!